Pros, students wrote and performed compositions at Bethesda Church. 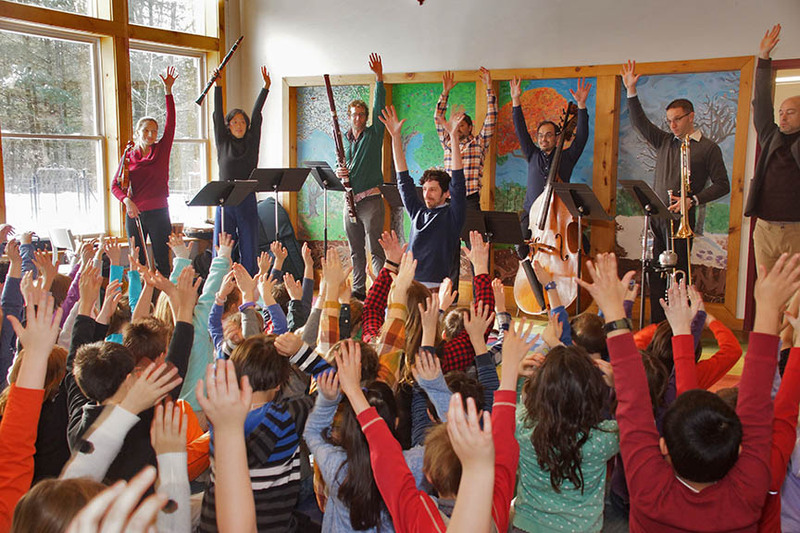 Dennis Moench, SPAC’s Director of Youth Communication, is leading several professional musicians from the Decoda Ensemble and a large group of very young Saratoga Independent School students through a series of vocal warmups in the school’s main hall. Moench’s professional credits are extensive and include Broadway roles in Les Misérables and Mary Poppins, but he has never worked on anything like this. Change is a good thing. Yeah! Change is like a swing. Change helps us see how things move differently. Yeah!…Yeah! We should not pollute the air. Don’t cut down our trees. Pick up litter. Don’t litter at all. Elizabeth Sobol, CEO of SPAC, expressed great satisfaction with the results of the project. When I saw her after the performance she was elated. 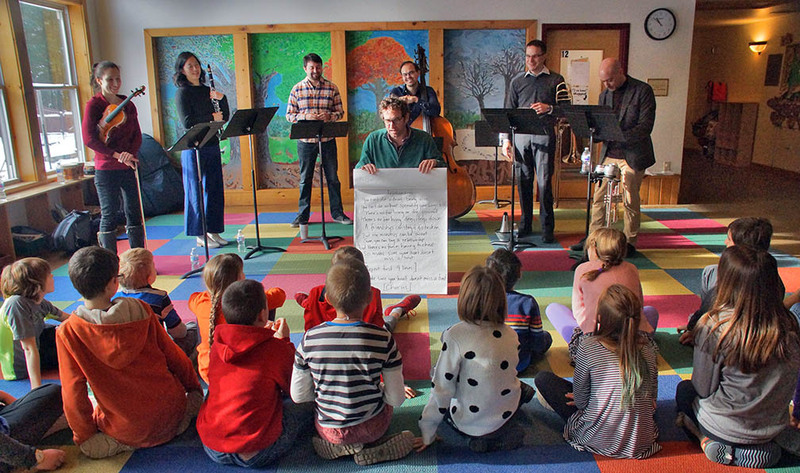 “The Decoda residency at Saratoga Independent School and the culminating event at Bethesda Church were a perfect manifestation of our new SPAC educational vision: immersive, participatory, creative and collaborative,” says Sobol. 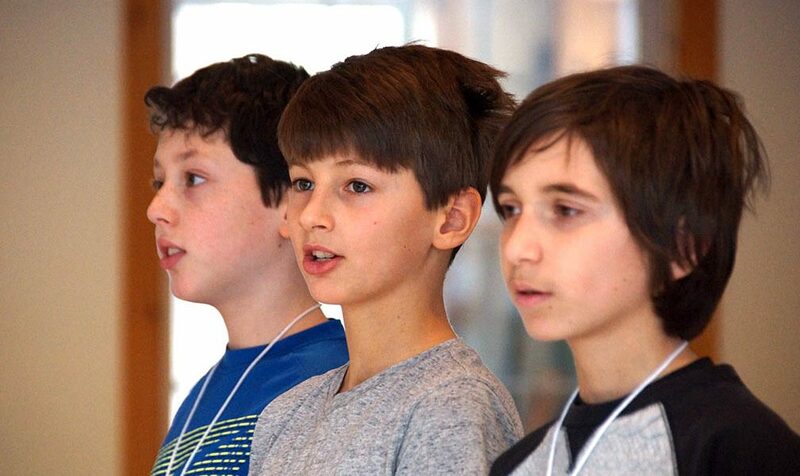 “What a joy to see the process come alive last Friday as the SIS students performed works that they had created—and the world class Decoda ensemble delighted us with a unique and entertaining performance.” Lisa Brown, Interim head of SIS echoed Ms. Sobol’s thoughts. “It was an amazing week! It was a wonderful experience for the kids. They had nothing but superlatives when they spoke about it in morning meeting today. And we have nothing but praise for all of the talented musicians and spot-on teachers, all with a great sense of humor.